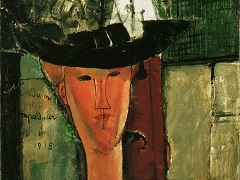 In Madam Pompadour, Modigliani's emphasis is on a strong formal structure dominated by the grid in the background and the echoing curves of the sitter's hat, shoulders, and features. 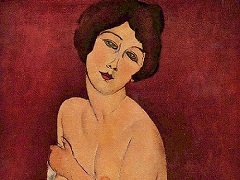 There is none of the pathos often associated with his work. The artist seems instead to have invested this portrait with a note of ironic detachment, even humor, reflected in both the title of the painting (which refers to Madame de Pompadour, mistress of King Louis XV of France) and the expression of amused inscrutability worn by the sitter. Were painter and sitter perhaps both amused by the flamboyant hat? 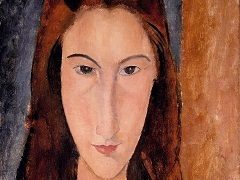 Modigliani's skill in rhyming forms, while at the same time keeping us visually interested and slightly off-balance, is evident throughout the picture, which resonates with the lessons of Paul Cezanne, Picasso, and African sculpture. 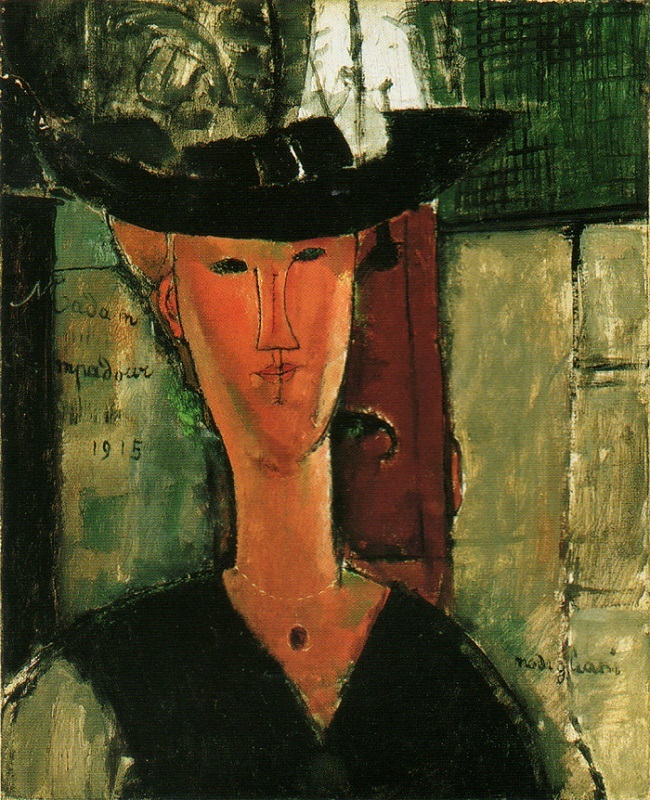 The sitter for this portrait may well have been Beatrice Hastings, an English poetess who was Modigliani's mistress at the time. Because of the artist's tendency to generalize his sitter's features, however, a comparison of this portrait with others of Hastings is inconclusive.